15-3/8" overall with a 9" long blade. 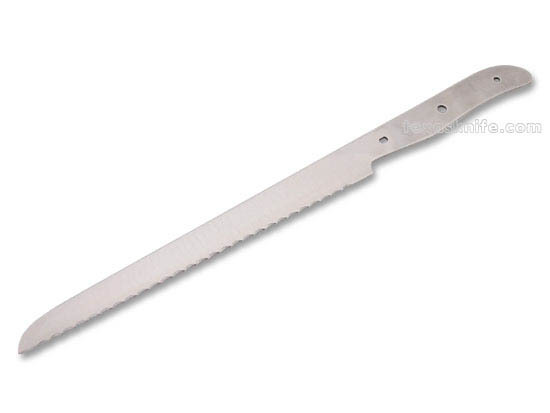 The blade is 1-1/8" wide and serrated. 3/32" thick. Use two 5/32" diameter pins or a 7/32" mosaic for the center hole. Satin finished and flat ground. CRYOGENICALLY TREATED to enhance its edge holding properties. Attention fishermen, try as a stout fillet knife.